A few months ago David Norec read his book on the importance of exercise and eating healthy to students at Perez Elementary in Mission, where his sister used to teach. That sister died in 2014 of complications from diabetes. In 2013, he also lost his brother to diabetes. Another sister is legally blind and has had a partial amputation due to complications with the disease as well. About two months after his sister died, he found out he has diabetes, too. “It’s just always plagued my family,” the McAllen native said. He believes a lot of what his family has gone through and continues to grapple with could have been prevented had they adopted certain lifestyle choices since they were children. But it’s a problem that isn’t specific to Norec’s family; it affects many Hispanic communities, especially in the Rio Grande Valley, consider one of the top regions in the United States for diabetes. So in 2016, Norec had the idea of tackling the issue by writing a children’s book. 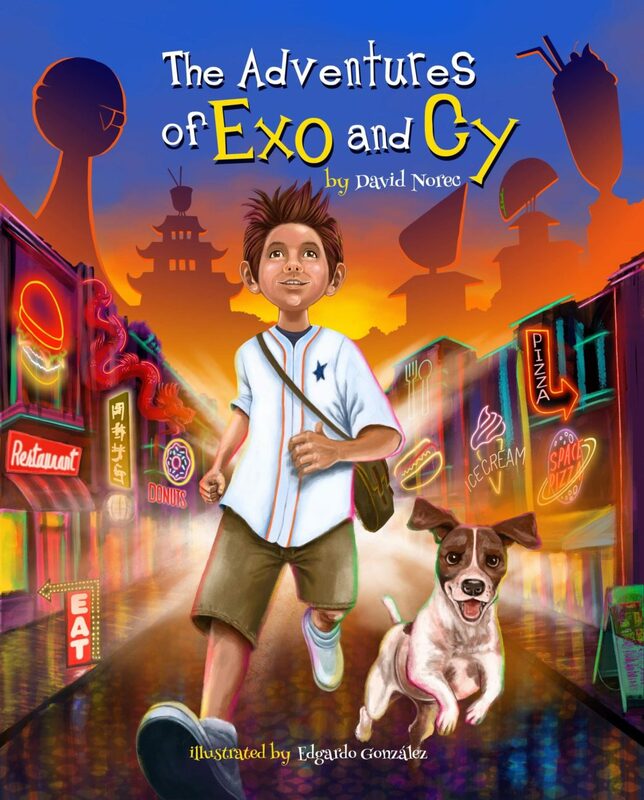 In about two months, he finished writing “The Adventures of Exo and Cy,” an interactive tale about a boy, Exo, and his Jack Russell terrier, Cy. The pun-filled book takes place in O.B. City, following the duo through adventures while educating the young readers on the perils of obesity and diabetes. Throughout the book, the readers are asked to complete “exocyses” with the main characters. By the time the reader finishes the book, they will have completed a small workout. “They become part of the book,” Norec said. The book is only available in an electronic format while Norec works toward getting it published. In the meanwhile, the former high school English teacher has been reading it to children throughout the Valley. Norec hopes that the book will make lasting change in the community. If children aren’t exposed to healthy habits at a young age, it will be much more difficult for them to learn later in life, Norec said. This year, WalletHub named the McAllen-Mission-Edinburg metro area the third fattest in the nation. Though it may sound bad, it’s actually a step up from just a few years go when McAllen was named the fattest city in the county. Since then, the city and community partners have made moves to promote healthy living in McAllen. The prevalence of farmers markets, the inception of the McAllen Marathon and the McAllen Kids Marathon and the installation of city bikes around town were all decisions made to make it easier to stay active and healthy.